The Portland Performing Arts Festival will feature the premiere of a major piece by choreographer Alison Chase combining dance with videography, music and photography. The work, titled “The Handsomest,” will be co-presented by Portland Ovations on Saturday, June 30, at Merrill Auditorium. PORTLAND — Iconic American choreographer and Maine resident Alison Chase. Multiple Grammy Award-winner guitarist Sharon Isbin. Performance art duo Fritz Grobe and Stephen Voltz, aka EepyBird, well-known for its Coke & Mentos and other creative experiments. Artists with the Celebration Barn of South Paris. These and other nationally renowned artists in classical music, jazz, dance, theater and performance art will participate in the Portland Performing Arts Festival, a new four-day event on June 28-July 1. The festival will feature two premieres: “The Handsomest,” a performance combining dance with videography, music and photography that marks Chase’s return to dance work for the stage after a hiatus of several years. And, “Thumbs up,” an inventive and humorous look at Maine’s unique qualities and characters. The play created by Celebration Barn artists will be taken on tour after the Portland performance. Besides choreography, Chase is a well-known director, master-teacher and theatrical artist. She founded Alison Chase Performance to enable her to pursue her passion for multidimensional storytelling, fusions of film and dance, site-specific works and museum installations. In October 2008, she was named the Maine Arts Commission’s 2009 Performing Arts Fellow. Until December 2005, she was co-artistic director and developer of Pilobolus Dance Theatre’s educational programs. In that capacity, she helped change the direction of American dance, creating works that use the human body in unpredictable ways. Chase, who lives on the Maine coast, also helped create uniquely recognizable and inventive dance works that have been seen by audiences worldwide for more than 35 years. Her wide range of interest and ability has seen her through everything from replacing a warm-up band for the Frank Zappa Show to collaborating with the Rockettes at Radio City Music Hall to working with a Dine medicine woman named Walking Thunder. Isbin is acclaimed for her lyricism, technique and versatility in repertory ranging from classical and romantic standards to contemporary commissions. She is head of the guitar programs at Juilliard School of Music and Aspen Music Institute. * Guitar master class featuring Sharon Isbin and Doug Wamble in teaching session with Maine artists, 3 p.m., One Longfellow Square, 181 State St., Portland. Free. * Live demonstration by duo Eepybird, 6 p.m., Monument Square, Congress and Elm streets in Portland. Free. Rain date: 6 p.m. Friday, June 29. Solo concert by multi-Grammy Award-winning guitarist Sharon Isbin, 7 p.m., Williston-Immanuel United Church, 156 High St., Portland. Tickets, $20-$45, plus ticketing fee. * “The Handsomest,” Alison Chase’s piece combining dance with videography, music and photography, 7 p.m. at Merrill Auditorium. Developed over the past three years, the work was inspired by Gabriel Garcia Marquez’ short story, “The Handsomest Drowned Man in the World,” and features an original score by Grammy Award-winning Maine composer Paul Sullivan. The performance is co-presented by Portland Ovations. Tickets: $32-$52; call PortTix at 842-0800; or visit portlandovations.org or tickets.porttix.com. * Celebration Barn Ensemble’s original production “Thumbs Up,” 8 p.m., John Ford Theater at Portland High School, 284 Cumberland Ave., Portland. Tickets: $15-$30 plus ticketing fee. * Celebration Barn Ensemble, “Thumbs Up,” 1 p.m., John Ford Theater at Portland High School, 284 Cumberland Ave., Portland. Tickets: $15-$30 plus ticketing fee. * Piano concert, festival finale, 3 p.m., Williston-Immanuel United Church, 156 High St., Portland. Curated by the Portland Conservatory, this concert presents premiere artists of the International Piano Festival in works by a variety of composers, including Maine resident Elliott Schawartz. Tickets: $15-$25 plus ticketing fee. Tickets are available through PortTix, tickets.porttix.com. For more information on all the festival performances, visit www.portlandfestival.org. 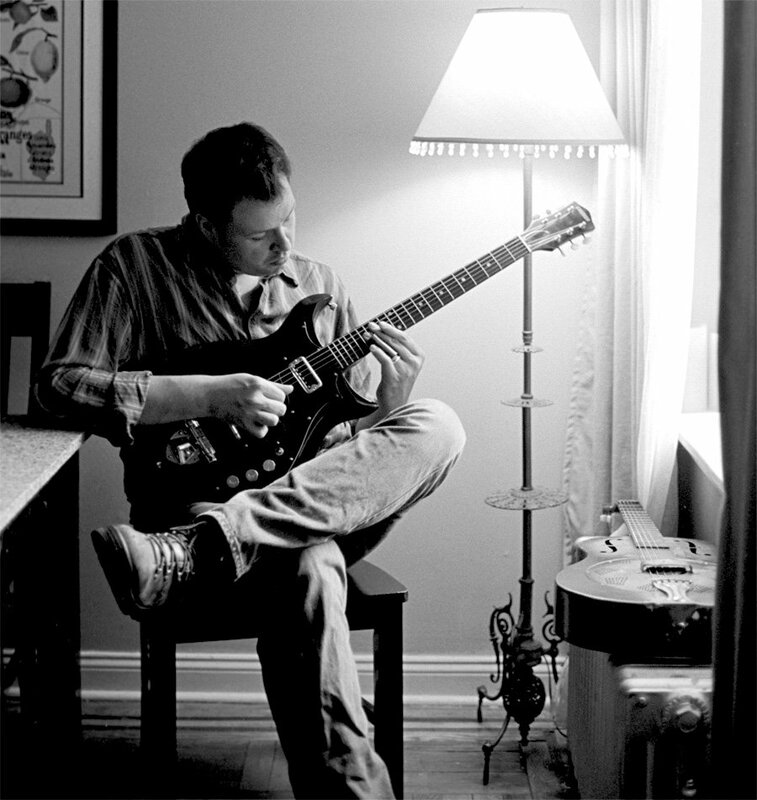 PORTLAND — Jazz and blues composer and master guitarist Doug Wamble will take the stage at 9 p.m. Saturday, June 30, at the State Theatre as part of the Portland Performing Arts Festival. He and a jazz band will perform his work “Yoknapatawpha,” based on the literary works of William Faulkner. Wamble uses instrumental pieces to create impressions of Faulkner’s landscapes and lyrical sections to give voice to characters from his stories. The work is a deeply textured combination of jazz, blues and traditional American music written for an octet of guitar, bass, piano, drums and horns. Wamble hails from Tennessee, and his family is from Oxford, Miss., the place Faulkner used as the inspiration for his award-winning novels and short stories. Wamble now lives in New York, where his jazz and blues playing and composing are in demand. He has recorded on the Marsalis record label, toured with Madeleine Peyroux, appeared on recordings with Wynton and Branford Marsalis, and composed scores for Ken Burns’ documentary films. As a complementary program, the Portland Public Library will host a discussion of “Faulkner and Music,” led by Cedric Bryant, the Lee Family Professor of English at Colby College and a specialist in William Faulkner and Southern regionalism, 19th- and 20th-century American literature and African-American poetry, fiction, drama and nonfiction writing. The discussion will be at noon Friday, June 22, in Rines Auditorium at the main branch. Reading suggestions include Faulkner’s “A Rose for Emily” and “Light in August,” both of which inspired parts of Wamble’s jazz composition.